We are looking at purchasing a small vanity unit (40cm-45cm) with basin and tap to replace the existing sink only that is coming away from the wall in our downstairs cloakroom. We are looking for a price to fit. Our only concern is that currently the plastic waste pipe comes out from the side of the sink rather than to the back (see photo), so assuming a hole would need to be cut in the side of the unit to accommodate this? Unfortunately this job didn't go well. Graham was due at 9:30am and eventually turned up at 11:20am after chasing. Upon arrival there was no apology for the lateness. The job itself was a disaster, in order to fit the Vanity unit Graham tried to remove the existing tiles and ripped a hole in the wall leaving jagged broken tiles. He apologised to my wife saying "he was no tiler" and we'd need to get someone in to put it right. On this website tiling is listed as a specialist skill! I appreciate this job might not have been easy due to the partition wall the tiles were on , but any qualified tradesman should recognise this and look at an alternative such as leaving the tiles in place then putting the unit up against them and sealing he gap where the unit wasn't flush to the wall. I've had another tradesman in today who said there was no way he would have attempted to remove those tiles. In addition to this to my wife's astonishment he asked to borrow a kitchen knife to remove excess silicone sealant. 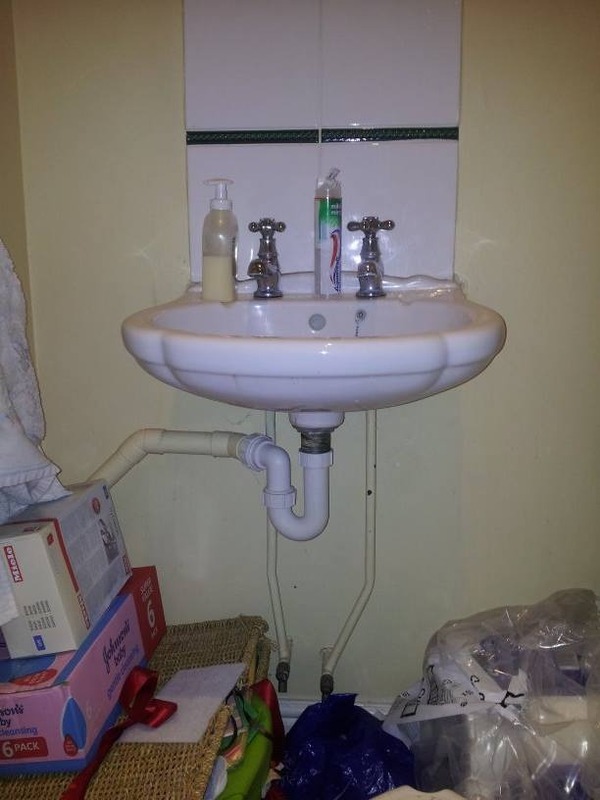 He also left the job with the pop up waste not working, admittedly the the one with the tap we purchased wasn't fit for purpose and Graham supplied another at cost but he left it with the sink not holding any water. My wife managed to fix this herself after he'd gone. The final straw was that he left the work area requiring a good clean up. Having read Graham's other reviews before hiring him it's hard to believe but unfortunately I cannot recommend this tradesman. And she whated the unit to fit flush with the wall. I was cleaning up before I left but she said not to worry about it. She also checked the work and was fine with it and ask for a price for a rad refitting.